Thailand 4.0 is a new model being proposed by the Thai government as they look towards having a value-based economy. 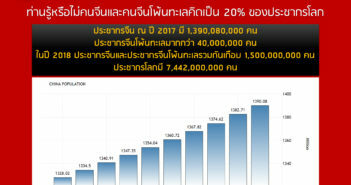 There are 10 targeted industries in Thailand 4.0 scheme, including Next-Generation Automotive, Smart Electronics, Affluent, Medical and Wellness Tourism, Agriculture and Biotechnology, Food for the Future, Robotics, Medical Hub, Aviation and Logistics, Biofuels and Biochemicals, and Digital Economy. The compiled list of departments and graduate institutes from Academia Sinica and 30 Taiwanese universities below is about Taiwan’s education for cultivating Thai talents for the 10 targeted industries in the “Thailand 4.0” scheme. In particular, the “MOE”, “MOST”, and “TaiwanICDF” three Taiwanese government scholarship programs provide around 20-25 full scholarships for Thai students to pursue their undergraduate and graduate degrees in Taiwan, including tuitions, airfares, and monthly living allowance between NT$12,000 to NT$30,000. For both education and scholarships, you can check out the “STUDY IN TAIWAN” website: https://www.studyintaiwan.org. Simply use the search engine to fine out all the Taiwanese universities, degree programs, language courses, short-term programs, government scholarships, and university scholarships. For “The TaiwanICDF International Higher Education Scholarship Program”, you can check website: http://www.icdf.org.tw/ct.asp?xItem=12505&CtNode=30316&mp=2. If you need personal consulting or to regularly receive scholarships and education information, please consult us through our LINE account: @TTedu in either Thai, English or Chinese. Or you may visit Taiwan Education Center in Thailand website: http://www.tec.mju.ac.th/en.